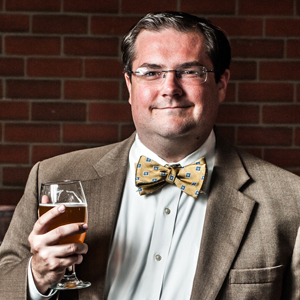 John Holl is the editor of All About Beer Magazine. Editor’s note: This column appeared in the March 2016 issue of All About Beer Magazine. Despite the number of breweries climbing, anecdotal evidence at beer festivals and brewing establishments seems to indicate that a large number of drinkers are working hard to keep their waistlines in check. Beer drinkers, long associated with the stereotype of the beer belly or the character Norm on the television show “Cheers,” are more active than ever. This is thanks, in part, to the lifestyle activities—biking, skiing, disc golf—that are a regular part of brewery employees’ lives. While there are still those who fall into the overweight category—myself included—beer has become part of other activities and is treated as a reward for hard exercise. Or, when it comes to big flavor, beers are consumed in moderation rather en masse. Still, beer is not thought of as healthy—no matter how much we want to believe those studies talked about on the local news from time to time that a few pints will help you live longer. The fact is, if you want to be a regular beer drinker and be healthy, you need to find the right balance between activity and consumption. Last summer the editorial team here started talking about ways of incorporating health into our coverage, and beginning with this issue, we’re kicking off a yearlong initiative to examine and promote healthy lifestyles for the beer-minded. It begins with us right here. On Nov. 1, 2015, I weighed myself and came in at 220. It’s the highest my weight has ever been, and I could feel it. I’ve struggled with my weight since high school, but spurred on by others leading by example I set out to lower the number. I’m walking every day, taking days off from imbibing and sampling (this job requires trying a lot of beer) and drinking a lot of water. I’m watching my diet, too. It’s too easy to order the burger and fries—rather than a salad—after a few rounds. As of Dec. 21, I was down to 212. By the time this issue hits newsstands, I’ll have turned 36 and would like to be around long enough to experience the great things in life while being in good health. Like so many others who struggle with weight, this was a long slide to where I am. However, more and more I look around at beer festivals and realize that I’m in the minority, that I’m less healthy than others. I know I’m not alone, and for those of you in the same camp, there’s no better time to make a positive change than right now. With great beer being produced and so much to see, the challenge is this: Let beer be only a part of a more fulfilling lifestyle. If you need to shed a few and want to feel better, plan physical activities around your nights out, bottle shares and casual quaffs. If you need the extra motivation, get your buddies into the act and do it together. Set goals with special bottles being the reward. Together we can all be healthier and enjoy great beer, and we don’t need to do it alone. Share your experience or ask for a little encouragement by reaching me on Twitter @John_Holl. Sure like your thoughts. Are you planning to make this an ongoing series of articles? Your article caused me to pause and reflect on the total of eight years I spent in Germany where Bier is highly appreciated. While I do not know what the underlying reason is, in general the beer aficionados there at your age (and mine much older) are generally not grossly overweight. Perhaps it has to do with participation in local Fussball (soccer) clubs and intramural teams. My cousin in Bremen who is almost twice your age and a friend in Darmstadt who is also in his early 70s remain in trim but not skinny shape. I was until about five years ago. Time for me to also rethink my diet and step up the exercise. Hey Fred, thanks for reading. Absolutely: we will have ongoing coverage throughout the year around the discussion of beer and health. I enjoyed your perspective and honesty John. Especially the idea of moderation for many reasons. I hope to read more articles about the various lifestyles within the beer drinking community and perhaps the positive culture we can all foster. Cheers! I’m very interested in seeing this research progress! I’d love to see the different health benefits on craft beers and th different varieties to go along with this. My new company, which sells a home brewing platform (Brewers Buddy) among other things is working on creating a user profile which we highlighted craft beer drinkers to be those who typically lead an active lifestyle so I was pleased to see this article promoting it! You hit the nail on the head (at least for me personally) when you stated: “Or, when it comes to big flavor, beers are consumed in moderation rather en masse.” And, I couldn’t agree more with “it’s all about balance and moderation”. I’m 59 and have been brewing for 11 years. I walk five miles before breakfast and 3 miles at lunch. I am determined to keep my weight in check and stay healthy. I love beer and want to be able to enjoy it the rest of my life. Love this! And excellent article titled “Earn Your Beer” in your most recent print magazine, highlighting the growing trend of drinking as part of a healthy lifestyle. Will that article be available to share online in the coming weeks? We have an awesome membership base of these health conscious drinkers who would love to read it. We’d even love to do a follow up piece on our blog at BetterDrinkingCulture.org if allowed. Cheers! That article should be going up online next week. Thank you for reading!